With discounted price and shipping, this item beats Amazon! BUY FOR YOUR OWN USE OR TO GIVE TO A NONPROFIT OF YOUR CHOICE. 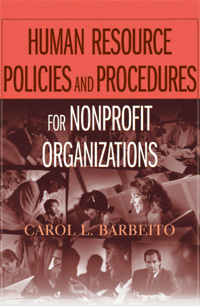 "Every nonprofit leader concerned with accountability and competition for resources will benefit from this book." PLUS YOU WILL RECEIVE A FREE COPY OF.. STRESSMASTER THE 30 MINUTE STRESS REDUCER Comes with a CALM/POWER STONE! A personal workbook that helps you quickly understand stress, check on your own vulnerability to negative results of stress and establish a stress management program.